Save the date and join us for our annual Earth Day of Service. 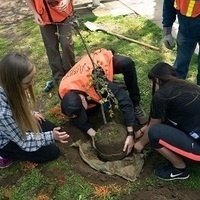 As part of the UO's Earth Week celebration, we will be serving alongside organizations dedicated to fostering sustainable change in our local communities. Project information and registration will be available in April. Any more info available? I'm interested!